2016/11/01 Update: I like the ideology of this party, but think the process of forming a 3rd party takes way too long, climate change can’t wait, it’d be quicker to run as an Independent, and it’s cool that they say they’ll endorse any candidate who takes their oath. 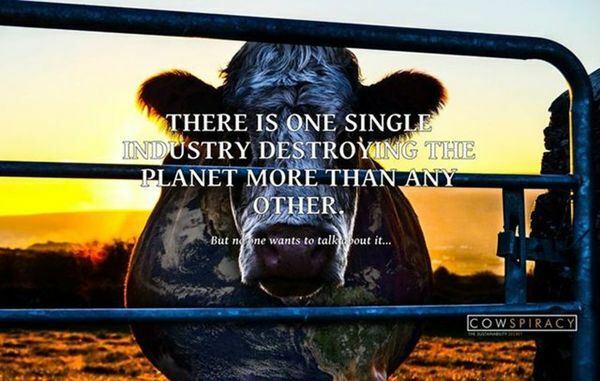 The Sustainability Secret: Rethinking Our Diet to Transform the World by Keegan Kuhn and Kip Andersen The groundbreaking 2014 documentary Cowspiracy presents shocking truths about the effects of industrial animal agriculture on the planet. The leading cause of deforestation, rainforest destruction, greenhouse gas production, water consumption and pollution, habitat loss, species extinction, ocean dead-zones, topsoil erosion, and a host of other environmental ills, animal agriculture is the biggest issue facing the planet today and one of the most controversial environmental secrets in the world of conservation. Filled with anecdotes, statistics, research, interviews with the filmmakers and contributors, and unabridged transcripts from the film, this companion book supplements and expands upon the documentary in every way. 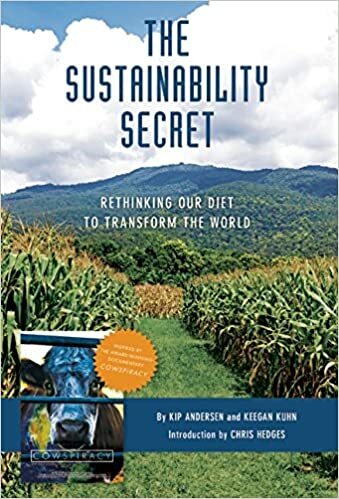 With all this and more, The Sustainability Secret reveals the absolutely devastating environmental impact large-scale factory farming has on our planet and offers a path to global sustainability for a growing population. Proteinaholic: How Our Obsession with Meat Is Killing Us and What We Can Do About It Dr. Garth Davis says too much protein is actually making us sick, fat, and tired. If you are getting adequate calories in your diet, there is no such thing as protein deficiency. The healthiest countries in the world eat far less protein than we do and yet we have an entire nation on a protein binge getting sicker by the day. Combining cutting-edge research, with his hands-on patient experience and his years dedicated to analyzing studies of the world’s longest-lived populations; this explosive, groundbreaking book reveals the truth about the dangers of protein and shares a proven approach to weight loss, health, and longevity. Edible Wild Plants: A North American Field Guide to Over 200 Natural Foods by Thomas Elias & Peter Dykeman. Already a huge success in previous editions, this must-have field guide now features a fresh new cover, as well as nearly 400 color photos and detailed information on more than 200 species of edible plants all across North America. With all the plants conveniently organized by season, enthusiasts will find it very simple to locate and identify their desired ingredients. Each entry includes images, plus facts on the plant’s habitat, physical properties, harvesting, preparation, and poisonous look-alikes. The introduction contains tempting recipes and there’s a quick-reference seasonal key for each plant. The Sunfood Diet Success System by David Wolfe describes how to adopt, maintain, and stay centered on an 80, 90, or 100% raw-food diet by balancing different types of foods through David Wolfe’s innovative Sunfood Triangle. Success is inevitable with day-by-day menu plans, delicious recipes, and the best information available on detoxification, fasting, mineralization and success technology all neatly bundled into one book. Each chapter is filled with inspiring quotes, facts, and tips. Dozens of beautiful, never-before-seen full-color images have been added to this brand-new edition, including many stunning Kirlian photographs. The Sunfood Diet Success System also includes a comprehensive listing of raw-food restaurants, healing retreats, and organizations. Be prepared for nothing less than total transformation! Superfoods: The Food and Medicine of the Future by David Wolfe. Superfoods are vibrant, nutritionally dense foods that have recently become widely available and which offer tremendous dietary and healing potential. In this lively, illustrated overview, well-known raw-foods guru David Wolfe profiles delicious and incredibly nutritious plant products such as goji berries, hempseed, cacao beans (raw chocolate), maca, spirulina, bee products, and a host of others. As powerful sources of clean protein, vitamins, minerals, enzymes, antioxidants, good fats and oils, essential fatty and amino acids, and other nutrients, they represent a uniquely promising piece of the nutritional puzzle. Each superfood is described in detail, accompanied by easy and delicious recipes. This accessible guide presents persuasive arguments, based on sound science, for the pivotal role of superfoods in promoting nutritional excellence, health and well-being, beauty enhancement, sustainable agriculture, and the transformation of diet, lifestyle, and planet. Diet For A New America by John Robbins, a new edition of the classic that awakened the conscience of a nation. Since the 1987 publication of Diet for a New America, beef consumption in the United States has fallen a remarkable 19%. While many forces are contributing to this dramatic shift in our habits, Diet for a New America is considered to be one of the most important. Diet for a New America is a startling examination of the food we currently buy and eat in the United States, and the astounding moral, economic, (health), and emotional price we pay for it. Diet for a New America is the single most eloquent argument for a vegetarian lifestyle ever published. Eloquently, evocatively, and entertainingly written, it is a cant put down book guaranteed to amaze, infuriate, but ultimately educate and empower the reader. A pivotal book nominated for the Pulitzer Prize for Non-Fiction in 1987. Diet for a Small Planet (20th Anniversary Edition) Frances Moore Lappe Here again is the extraordinary bestselling book that taught America the social and personal significance of a new way of eating– one that remains a complete guide for eating well in the 90s. Featuring: simple rules for a healthy diet; a streamlined, easy-to-use format; delicious food combinations of protein-rich meals without meat; hundreds of wonderful recipes, and much more. With the new emphasis on environmentalism in the 1990’s, Lappe stresses how her philosophy remains valid, and how food remains the central issue through which to understand world politics. If you are interested in health, you can use Lappe’s book to provide alternative main dishes that are satisfying and lower in fat, higher in fiber. Meat is a major source of saturated fats, beans and rice and other grains provide lots of benefits such as soluble and insoluble fiber, vitamins and minerals. If you are ecologically minded, and this is the thrust of the book, you can eat comfortably, knowing your dietary items take up less resources to grow. If you are an animal activist or don’t eat meat for religious reasons, Lappe provides valuable info on how to get the proper balance in your diet by matching foods to get all the essential amino acids you need (the building blocks of proteins.) I read this book in 1972. I haven’t seen the latest edition, but definitely recommend cow-milk alternatives that are readily available in grocery stores now and it’s easy to make your own nut/seed-milk.